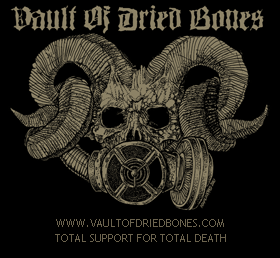 The Vault Of Dried Bones online shop was reactivated last week. Our exclusive, high quality shirts, long sleeves and sweatshirts are available once again. Limited patches, flags and metal pins were also added. The first haul of shipments will depart on December 28th. New designs to be revealed intermittently in 2018.